Adam Chase, President & CEO of Chase Corporation, welcomes Anish Metrani, CEO of Sneham Global, as the newest partner in Chase’s global pipeline team. Sneham is the manufacturer of tektapes™ headquartered in Belgaum, Karnataka, India. 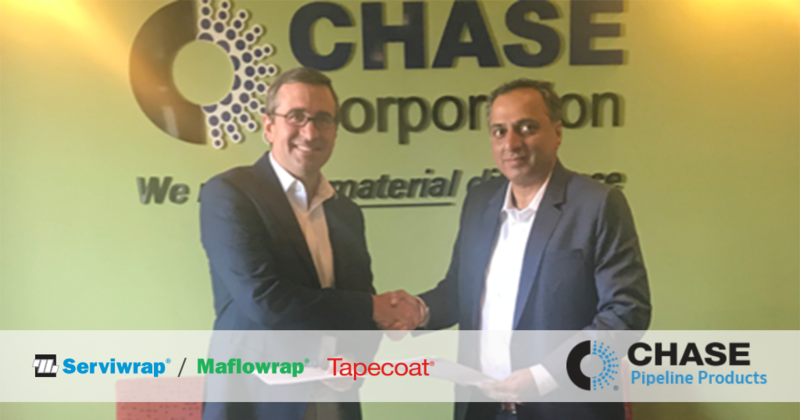 They will be distributing Chase’s line of Serviwrap, Maflowrap® and Tapecoat® products throughout India.